Prominent & Leading Manufacturer from Mumbai, we offer pizza cutter, pizza cutter standard and pizza lifter. 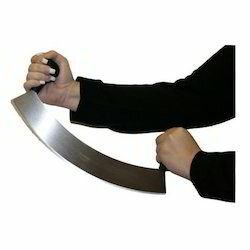 Pizza Cutter offered is suitable for commercial as well as for home use with smooth handle finish for easy handling. 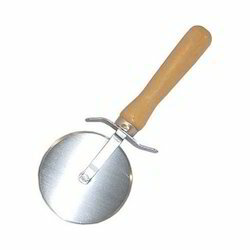 Available with different cutting blade size and diameter options, it allows swift and convenient cutting of pizza where the use of stainless steel blades makes them rust proof as well as long lasting. Also suitable for use in areas like Hotels, Fast food joints and others, these are ideal tools for cutting pizza slices from different size pizzas. In the field of kitchen cutters, our company is recognized as a leading manufacturer, and supplier of Pizza Cutter Standard. 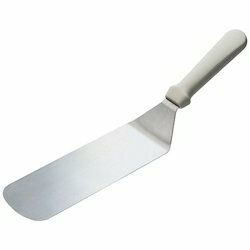 This one is made up of silicone and has the ability to slice the pizza in one go. It overcomes the challenges of improper divisions. Pizza is the prime choice when it comes to delighting the taste buds. This pizza cutter allows the ability to easily slice the pizza in a super fine way and in just no time as well. Our company has established itself as a leading manufacturer and supplier of superior quality Pizza Lifter. This pizza lifter will keep pizzas flying into the oven without making a mess or risking a burn. This one is made of aluminium material and handle is made of wood. This aluminium product works best for placing pizzas into the oven because the surface is slick enough to prevent the dough from sticking to the peel and the rectangular shape prevents an uncooked pizza from sagging over the edge.